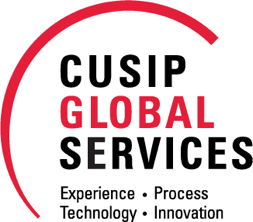 CUSIP Global Services (CGS) today announced the expansion of its CUSIP Options service to now include futures and options on futures for the North American market. The expansion was made possible through an extension of the CGS 2009 partnership with Euromoney TRADEDATA, a financial information provider specialising in futures and options products. Building on the partnership, CGS will now also assign CUSIPs and CGS ISINs to all standard options on standard futures listed by the major North American exchanges. Exchange coverage for this new data set includes Chicago Board of Trade (CBOT), CBOE Futures Exchange (CFE), Chicago Mercantile Exchange Inc (CME), New York Mercantile Exchange - Comex Division (COMEX), Eris Exchange (ERIS), Bourse de Montreal Inc (ME), Minneapolis Grain Exchange (MGE), Nodal Exchange (NEX), Nasdaq Futures Inc (NFX), ICE Futures U.S. Inc (NYBOT) and New York Mercantile Exchange (NYMEX). By assigning CUSIP IDs to futures and options on futures, CGS will enable market participants to streamline their pre- and post-trade reporting requirements under the MiFID II and EMIR mandates. The use of CUSIP identifiers in this market will also simplify back-office operational processes by introducing the universally recognised and accessible 9-digit CUSIP taxonomy that is ubiquitous throughout financial markets as an alternative to more complex, asset class-specific identification schema that have previously been used to identify futures and options on futures. The CGS partnership with Euromoney TRADEDATA was formed initially in 2009 to launch CUSIP coverage for listed equity, index and ETF options in the U.S. market, and subsequently expanded in 2012 to add Canadian options and again in 2016, to add single stock futures. Building on the success of these initiatives, the two parties have now added options on standard futures to the CGS database. Today, the CUSIP Options Service provides unique CUSIP IDs for over 500,000 equity, ETF and index options, along with accompanying ISINs and related data elements such as strike price, contract name, exchange code and underlying symbol. Market participants can receive the CUSIP Options Service directly from CGS or via an authorised market data vendor.